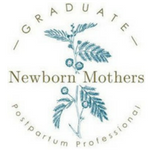 Transformational videos that will support you through your Motherhood journey! EP010: 3 Steps to Mothering your way! Want to join our FREE 5-Day Challenge? Stop guessing what to do & start organising! Prepare + Plan for MOTHERHOOD from bump to baby in 5 days Everything you need for life with a newborn – I’ve got you covered. POP IN YOUR DETAILS TO SIGN UP NOW! Welcome to The Motherhood Circle Family! Your details will be kept secure! Want to receive your videos now? Pop in your details to receive your videos now + get a brand new episode each week!